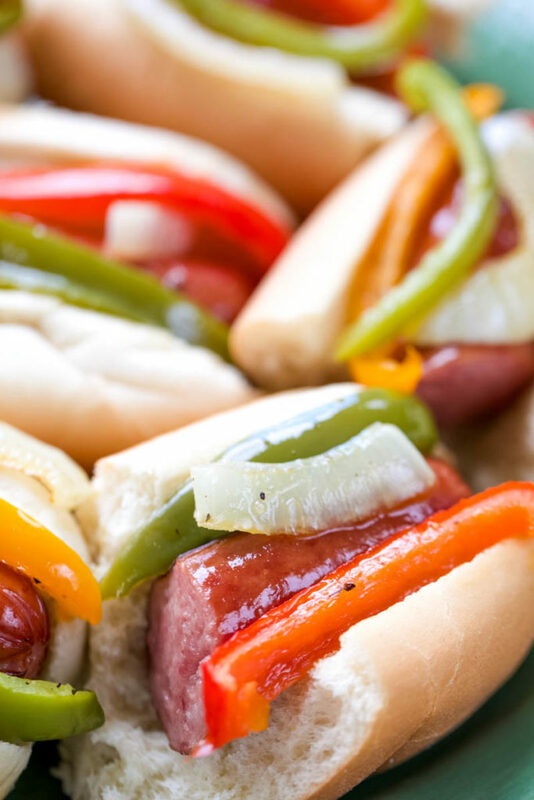 These One-Pan Smoked Sausage and Pepper Hoagies are such a quick and easy meal idea; they’ll quickly become a family favorite for game day or any other day of the week! 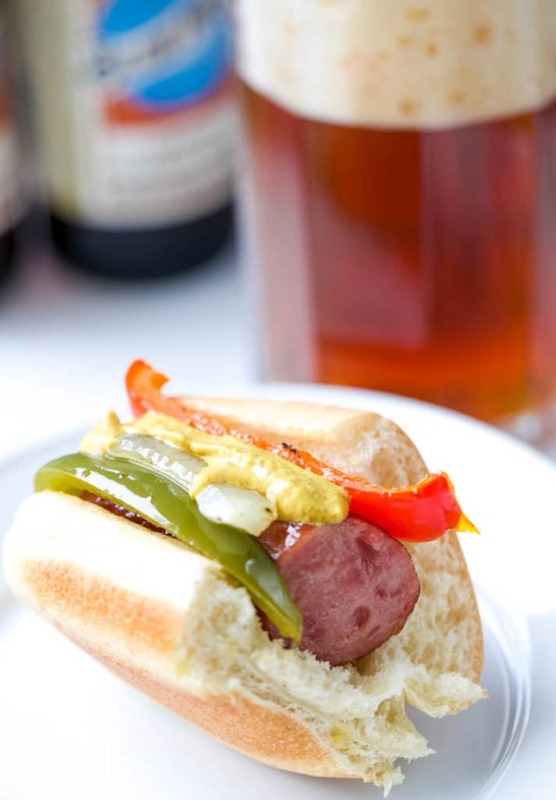 Football season is here and it’s time for some tailgating or “home” gating! I have some football lovers in my family that can’t wait for football season every year. If there’s a game on TV, it’s on in our house. Of course, with football comes food. Which, truth be told, is my favorite part! These One-Pan Smoked Sausage & Pepper Hoagies are always one of my favorites! And, my family knows mom will be making some awesome tailgating food each week. 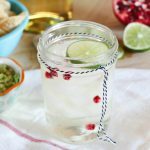 From my OH SO FAMOUS Buffalo Chicken Dip to Slow Cooker Mississippi Roast Sandwiches, there’s always something on the table during game time. But, even though I love being in the kitchen whipping up some amazing eats, I also love being in the living room enjoying some game time. So, my only rule is that the food must be made quickly and ahead of time. Who wants to spend the day in the kitchen cooking when there’s an awesome game on?! Nobody! So, this week I whipped up something new and delicious! And it’s all made in one pan! I LOVE one-pan meals for breakfast, lunch or dinner, and now – football! These One-Pan Smoked Sausage and Pepper Hoagies are so quick and so easy; they’ll quickly become a family favorite! I’m using Eckrich Original Skinless Smoked Sausage Rope that is naturally hardwood smoked and crafted with just the right blend of spices for a truly rich, savory taste. It’s perfect for this dish! With a wide variety of flavors and forms, including rope and links, Eckrich Smoked Sausage is the perfect go-to ingredient that is so versatile I can use it for any meal occasion and I do! Cooking with Eckrich means you can put a delicious homemade meal on the table quickly, so you can spend less time in the kitchen and more time with your family, which is exactly why this recipe is so amazing! 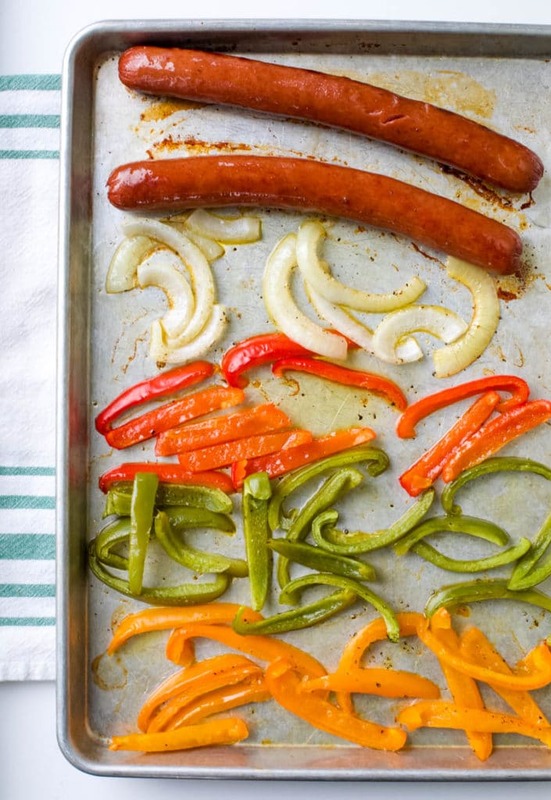 First, take your favorite Eckrich Smoked Sausage and add to your sheet pan. 2. Then you just cut up some red, orange and green peppers plus some onions and add them to your sheet pan. Sprinkle with a little olive oil, cracked black pepper and sea salt and pop in the oven. It’s that easy! 3. Let it all cook together on the pan for about 25 mins and you’re ready to plate it up! I like to cut the Eckrich Smoked Sausage into 3rds and place on cut buns so that everyone can just grab one and go. It fits right in your hand so there’s no juggling of food going on in the living room. I love to add spicy brown mustard to mine. It’s perfect with the smoked sausage, sweet pepper and onions. YUMMY! 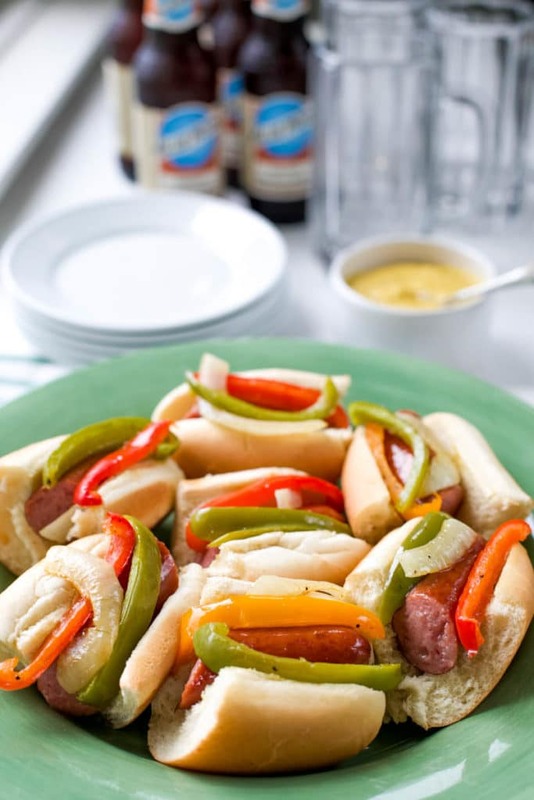 There are never any leftovers when I whip up a platter of One-Pan Sausage & Pepper Hoagies! 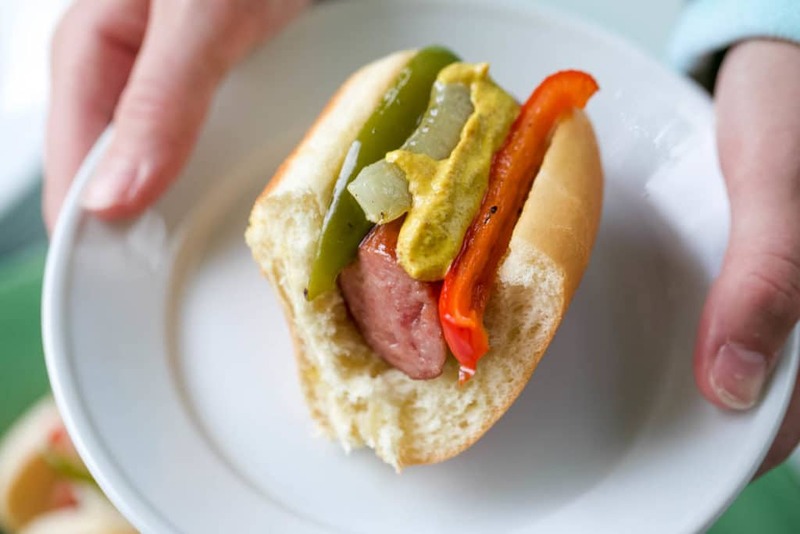 These One-Pan Smoked Sausage and Pepper Hoagies are such a quick and easy meal idea; they'll quickly become a family favorite for game day or any other day of the week! 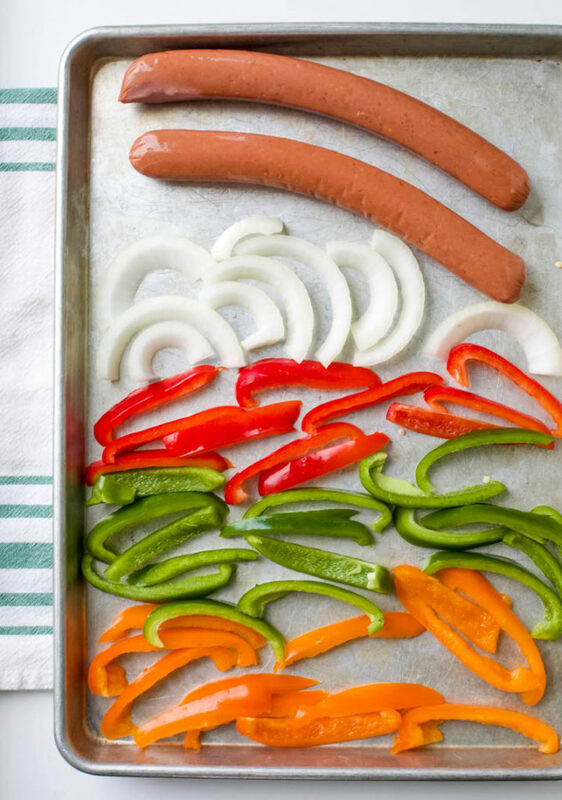 Arrange the sausages, pepper and onions in a single layer on a baking sheet. Drizzle the olive oil over the sausage & vegetables and sprinkle salt and pepper. Bake for 20-25 minutes until the sausages are brown and the vegetables are cooked. Cut sausages into 3rds and add to buns. As the official sponsor of the College Football Playoff, Eckrich is bringing back their popular Road to the National Championship sweepstakes. Eckrich is giving lucky fans around the country the chance to make a 15-yard throw for $1 Million dollars during some of the biggest college football games of the season and at the 2019 College Football Playoff National Championship in Santa Clara, California. Fans can visit EckrichFootball.com to enter for a chance to win. 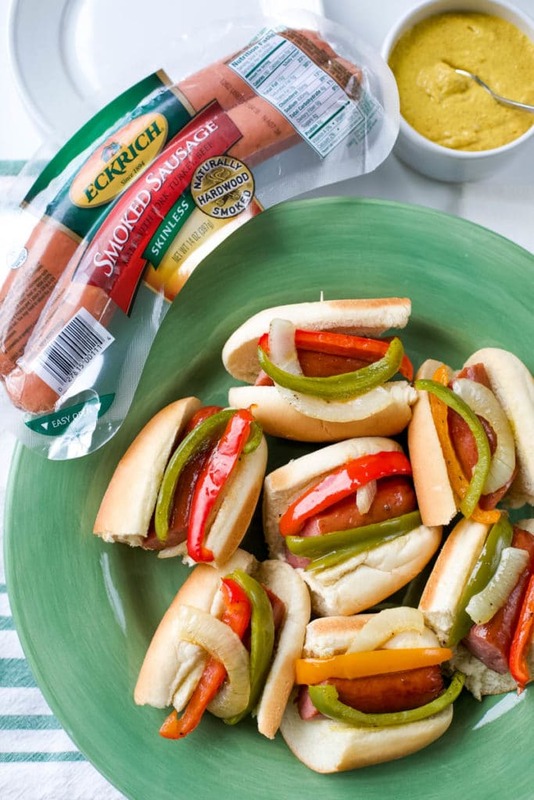 For more info about Eckrich Smoked Sausage, as well as quick and easy recipes please visit www.eckrich.com. It can be found in the Deli section at your local grocery store. Eckrich is the official sponsor of the College Football Playoff. 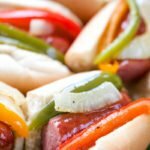 Check out these Smoked Sausage and Peppers Hoagies the next time you need a quick, easy and delicious meal. Especially if you’re “home” gating! 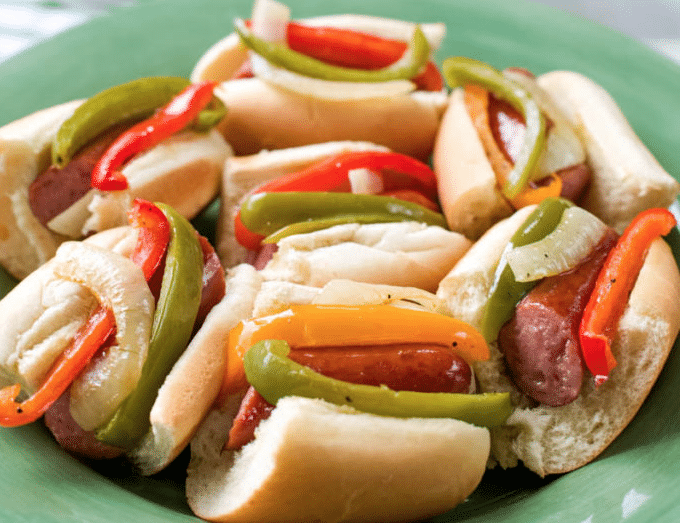 Pin this Smoked Sausage and Peppers Hoagies Recipe for later! 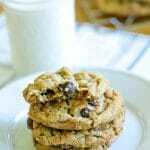 If you like this recipe, try these next! 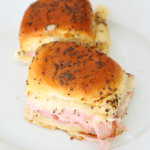 The recipe of one pan smoked pepper hoagies is very easy and it is made quickly! I find out making Smoked hoagies is as easy as making a burger. 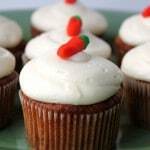 Love this recipe thanks for sharing.